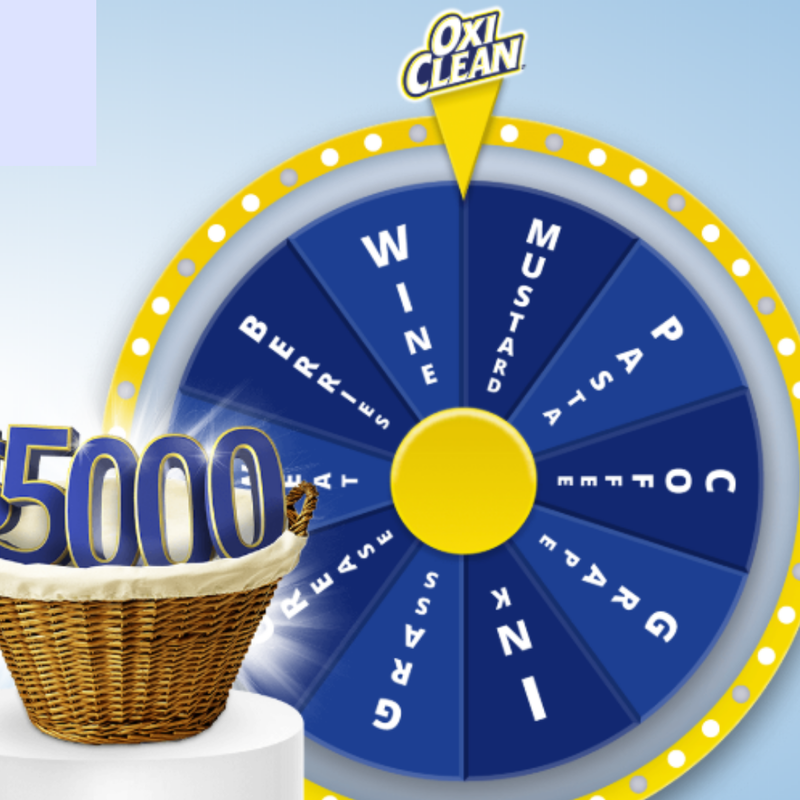 Oxi Clean is giving away $5000 & tons of secondary prizes! Secondary prizes are bikes, dinners for 4 out, $250 Sports Gear gift cards, Coffee machines, Tickets to events, $500 in groceries and weekly grocery gift cards! Spin for a chance to win the $5,000 grand prize, plus more! Play the Stain Game by OxiClean™ now. You can also claim a coupon once you enter for Oxi Clean products. Ends November 16, 2018. Spin to Win!